Spring arrived and with it all the wine parade, Prowein, primeurs in Bordeaux and maybe less know yet Bien Boire en Beaujolais and the Salon des Vins du Soir (Brussels). The season will end with the sunniest of them all, Vinexpo. 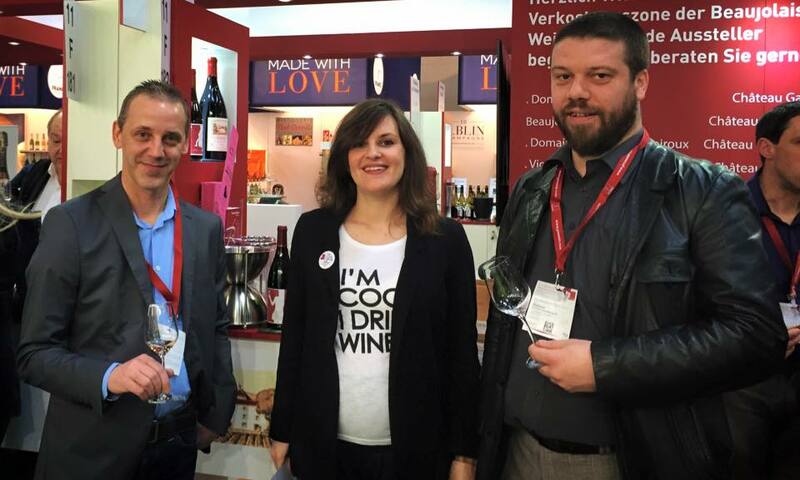 Vicky’s wines are not yet in Germany and it is last minute that my Dad and I joined the Beaujolais booth at Prowein (15-16-17th of March). An intense stay in Hall 11. 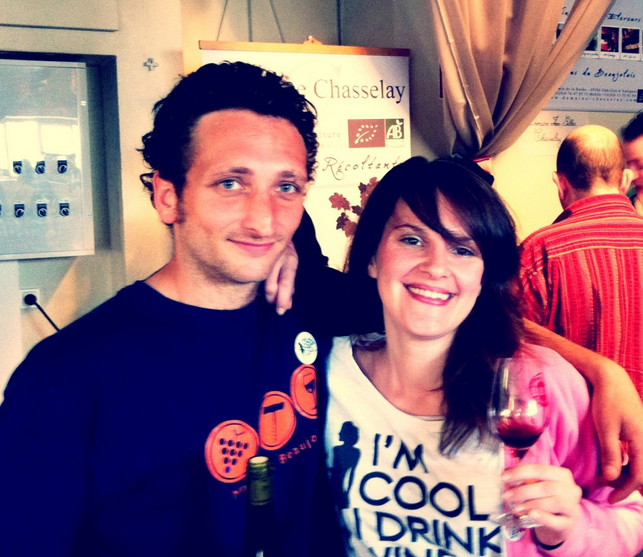 3 days full of gamay and new smiles, hectic, sportive and at the end cheerful. Thank you for all the visitors (Facebook album). Now writing from Chateau des Moriers, a beautiful week is announced starting tomorrow at Bien Boire en Beaujolais – the best tasting of Beaujolais wines in the world for its diversity of visitors and vineyards. 4 winemakers groups will meet namely and in order of creation Beaujoloise, Biojolaise, Beaujolart, Beauj’all Wines (natural wines, organic wines, artisan wines and all) in a friendly and sunny atmosphere. Professional and winelovers, you’re all welcome! And at the end of this week, the Botanical Garden of Brussels will hear the clings of wine glasses with the first edition of the Salon des Vins du Soir. For professionals and for any of you that wants to have a good wine time! I should be there with my wines but also all the I’m Cool I Drink Wine tee-shirts and posters. If you enjoy the wines, you will even be able to buy a bottle at a very fair price. See you there! I won’t have a booth at Vinexpo but if you ever feel like a sip of Vicky’s wines, send me a message, I’m never far! For now it’s Sunday night, time for Fleurie and a bit more of sunshine!